By Far One Of Favorite Cashunt Videos!! This team managed to get a marching band of all things to join them in their conga! Due to the unexpected traffic that we have this ninth season of the game, we are booked right into the 1st week of December which is uncanny. The norm usually is that the season ends in October and then we have our annual Championship in November. But with the recent press and the fantastic response to the game our season is extended. Due to this we want every team to get a shot at the championship, but we can't obviously hold a championship in December due to the weather. So we came with a decision to hold the championship in April, because the weather is much better and the game we have planned for the championship "hide n' seek" is best played in better weather conditions. If we see this growing into a trend again next year, all our championships will be performed the following spring. The top 4 will be notified immediately after the season is done, so check the leader board and see where you currently rank. I know to some of you it might be a dissapointment but we think it's in the best interest of all the teams that are playing in the current season to get a shot..we hope you understand..
Museum Hunts To Start In The Early Winter To Late Spring..
We have stalled on this game just to perfect it.. what we want to do is with this type of game is to give a great amount of game for your money, that seems to be the mission with our company. It will be different than the typical Cashunt game and some of the museum games that are there today It actually will be a completely different game in a whole..which will make it interesting for the players that play it. The museum's that will hold these games will be a few museums in Boston and the New York City area. The great thing about these games is that they will be great for all ages, the pricing is excellent, it will be educational as well as competitive. And yes the winning score will be ranked for our 10th championship in the Fall 2010. Museum Admission will be included in the price.. We will make our final annoucement in the coming month, these games will be public as well as private..
As some of you are clearly aware the Championship is slowly approaching and we can't wait!!! But this year we might throw in a little twist.. In a couple of weeks all winning teams will be contacted in regards to a new challenge to basically boost their score and possibly enter the final four. How this is going to work is that all winning teams will be given a clue as to where a "Golden Ticket" for a 1000 points is hidden. Once that clue is given out the first team to find it and photograph themselves with it will recieve and additional 1000 points to their current score ranking. What is exciting about this is that any team can sabotage a current top 4 contender or a top 4 contender can strengthen their lead with this additional 1000 points. In the end this will turn interesting and exciting! We will provide you with further infor in the next two weeks, past players check your e-mail during the first week of September. New Cashunter Gear Will Be Available in Two Weeks! We will be introducing our new products from out Cashunter Gear line... This year we are taking a different spin on our designs. What the new line is going to consist of funky, cool and casual designs for the gamer/scavenger hunt lover. We introduced this beta trial on these shirts and they sold very well, so with that in mind we are now going in that direction. Also all the designs will be on sale for a limited time so we can introduce new designs every 3 to 6 months. We do not want the online boutique to be cluttered so with that being said we will be going on a limited approach. CASHUNT PUBLIC BOSTON MAD DASH SCAVENGER HUNT! AUGUST 30th! ** There will prizes and each team will be sent a cd containing all their photos and videos from their team later in the week a great gift from your game! MY BIG FAT GREEK CASHUNT?!? Cashunt Games in Athens, Greece?! ?, well it might become a reality in the future. Our mission here is to go one step at a time when it comes to expansion of this game, so we are researching this possibility very closely. It would obviously not be an every week situation in Athens but it would be something that would happen maybe a couple of times during the summer. What we thought of and our disscussions with certain tour groups is to throw a different spin to the typical tour offering of Athens. By adding a Cashunt is Athens tour groups would not only be playing a fun, funny, and competitive game but they will also be going on an impromtu tour of athens. Also the group will recieve a cd containing all the photos and videos from their Cashunt: Athens event for free. We think this is a no brainer as this is does not exsist in Athens at all. 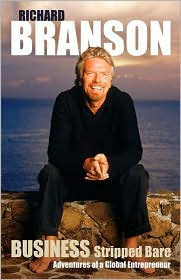 The tickets will be very affordable for such an event....this event would start taking place as early as 2010 or 2011. We will keep you posted, note if you are a tour group of travel agent and would like discuss this event please contact us at 866-276-4733 and speak to a game coordinator. BRIDAL DASH GETS A LITTLE MORE DASHING! We are going to take our popular Bridal Dash and make it even little more challengeing. Now we do a little changing to our anchor games every year, but with the Bridal Dash we are going to customize it even more. 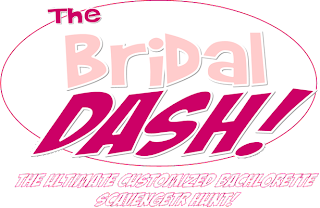 As some of you might know that have played Bridal Dash there is a bonus round theme hunt based on the bride. We are going to tweek that a little and are going to add more to theme hunt by customizing other players into that bonus round. 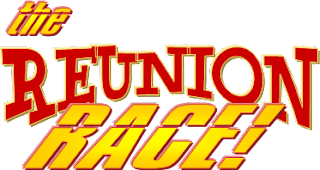 This is something we wanted to do in the 8th season but it was too late into the season, this updated round will appear in Bridal Dash booklets in the Fall. Bottom line we constantly want to keep the game challengeing at every level and have our players have the ultimate scavenger hunt experience! Hello Cashunters, I hope all of you had a great holiday weekend this past week. 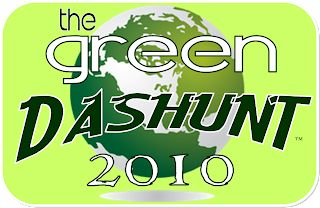 We are now in the half-way point of our current season of Cashunt and we are very pleased thus far. One question we get a lot of is "do you usually produce the game in certain cities?" The answer to that question is yes....we like to concentrate on one major city at a time. Our current Cashunt cities are Boston, New York City, Chicago, and Las Vegas.. By putting our total focus one city at a time we believe will give our players the ultimate product for our industry in that city. With that being said if a client calls from a "non-cashunt city" we will be more than happy to produce a game for them we have no problem with that of course. But by doing a "less is more" way of picking cities will make our product that much more successful, this was and is our philosophy from the begining. The next cashunt cities we are looking at.. is possibly Hollywood, San Fransisco and Miami. We will make that annoucement when we make it official.. 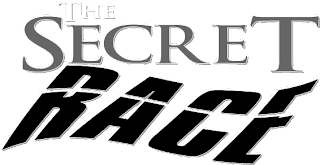 Hide and Seek is now now avialable for bookings for the 2009 season. 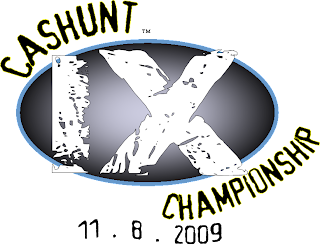 This game will also be the championship game for the Cashunt Championship IX, so we are pretty excited about that also. 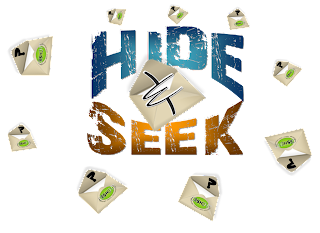 Hide and Seek as mentioned before will set teams on a wild hunt for envelopes, but each envelope will consist of special challenges or points. The special challenges we have in store are funny, creative , competitive and each game will be different each time. Hello Everyone! First of all thank you afor enjoying our podcast, thank you for the nice comments. It's been a couple of weeks since my last post, but we are heading into busy time again so it's getting try. So what I want to mention are a couple of things first is we are going to offer an incentive plan for past players. How this is going to work is if you are a past player of Cashunt and you refer a person to us you might get compensated. The person you refer would need to call us mention your name and the names of the teams that played in your game and if we book them, you get $25 sent to you! We tried this last year and it worked very well, and it was some free money to our past players. 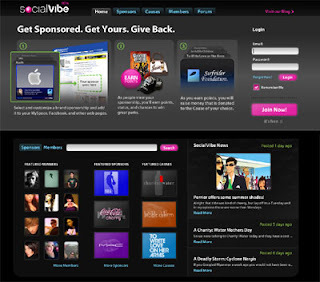 This promotion will start as of June 1, 2009.. The last thing I want to mention is of our last new game for 2009 "Hide and Seek"...This game will consisit of a bunch of strategically placed envelopes hidden around the city. Once your team reaches an envelope it will consist of a different challenge, what is going to be great about this is that the game will start a week prior to the game itself via the internet... What are the challenges that will be in those envelopes? That there is the mystery in itself..
NEW CASHUNT PODCAST IS UP! 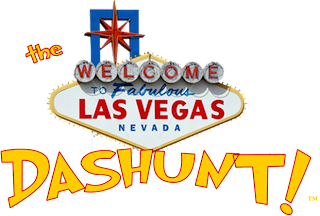 Listen to what we have to say about our 9th season of cashunt especially the promotions we have for the bridal dash , wedding party race, and the bachelor vs bachelorette dash.